I immediately saw that the mount wouldn't be strong enough to hold the Beeline. I also made this design in Fusion360, but I'm waiting for my 3D printer to arrive, so I'm unable to test it. The idea is mostly the same, put the ring over the Beeline and use rubber bands to secure it. Wow that looks impressive. 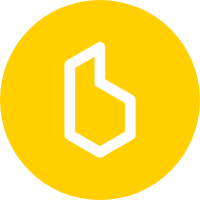 We're pretty confident the Beeline strap will be strong enough - thousands of our users have been using the same strap for over a year without any problems. If you are having problems, then we'd like to immediately investigate. But your 3D print sure looks badass - let us know how you get on! I'm going to use the Beeline for the first time this week. I'm going to secure it with the rubber bands to be safe. I'll let you know if it pops open. If it does, that means that the mount connection isn't strong enough. All looks fantastic Ilja, but I would like to stress again: we're pretty confident the Beeline strap will be strong enough - thousands of our users have been using the same strap for over a year without any problems. If you are having problems, then we'd like to immediately investigate. Are you guys strapping it on correctly I wonder? There's a technique you need to use to keep it nice and tight. But I've indeed never had a problem with the flap doing this and lord knows I've had it go through some pretty heavily cobbled roads here in Belgium. I'll if I can make a video of me, mounting the Beeline to the handlebars. Now that's great! Time for a Beeline community meeting in Belgium! Looking forward to the video then hopefully it's a different technique which would make the solution easy hehe! Thanks for the videos - much appreciated. The Beeline strap appears to be behaving as it should. The case sits snugly within the lid but comes out after angling the case out as you did with your fingers. This is tight enough to ensure it doesn't pop off over cobbles, speed bumps and potholes, but can be easily removed when the ride is complete. If you find that it isn't remaining completely secure whilst riding, then you have a defective strap which we will immediately replace. I wasn't sure when the auto calibration was supposed to be happening, so I calibrated it manually from the menu. I tried the compass mode and the route assist mode. but as soon as I went into the settings menu, suddenly the connection was back. The next time I will test it without the rubber bands. We'll see if it holds or not then. I've tested it without the rubber band, allthough I did use the rubber band to secure it to the handlebars to be safe. I did +- 12km and it didn't come off. So the mount is more secure then I thought. Hi! That's fantastic news! Do keep us posted on how the testing goes, as we could incorporate some of your ideas into a redesign of the strap further down the road.